The 2016-2017 season will be known as Tom Brady’s revenge tour. Brady was suspended for the first four games of the season for his play in Deflategate. During the first four games, the Patriots lost once to the Buffalo Bills. Brady’s first game back to start his revenge tour was against the Cleveland Browns; Brady would throw for over 400 yards and threw for three touchdowns. Once again, the Patriots were at the top of the league finishing the regular season 14-2, becoming the number one seed in the AFC. They would beat the Pittsburgh Steelers 36 to 17 in the AFC Championship game. On the other side, the Falcons would represent the NFC in the Super Bowl. They slayed the Green Bay Packers 44 to 21 in the NFC Championship game. 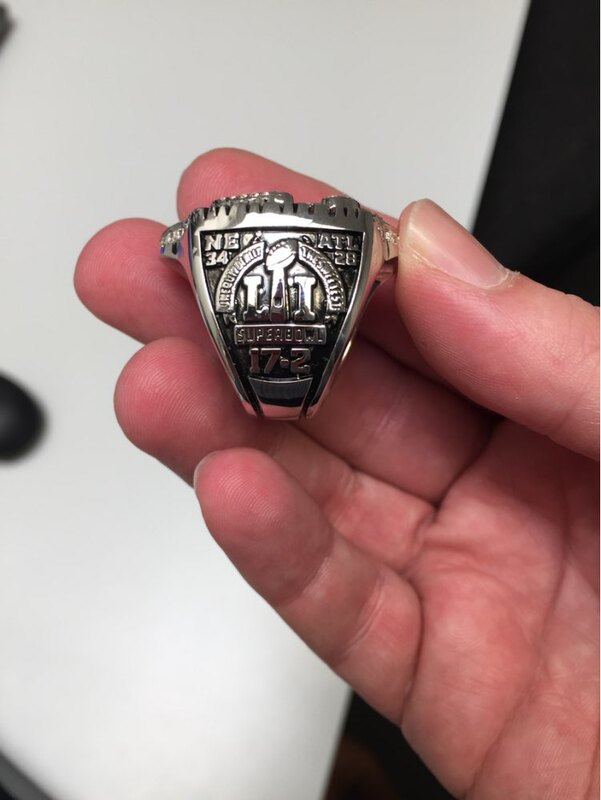 Super Bowl LI will go down as one of the greatest comeback stories and biggest collapses in history. 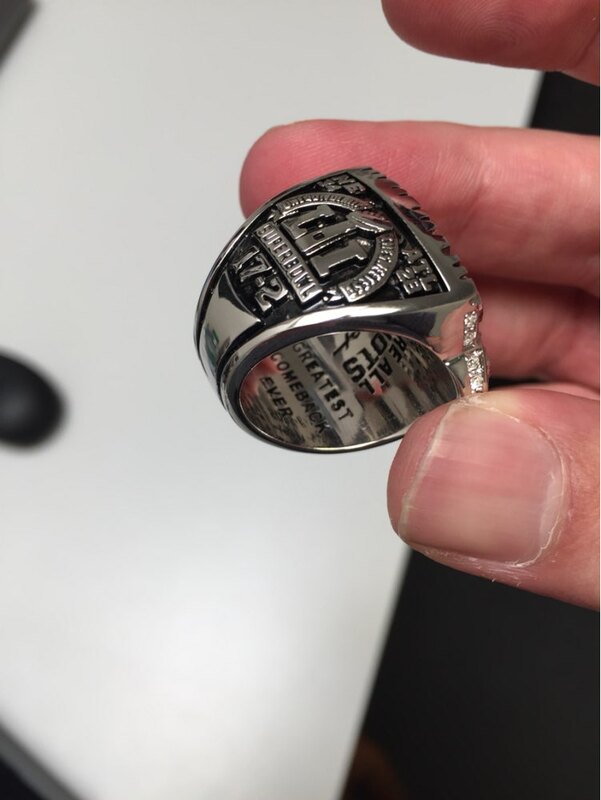 Brady would make it back to the Super Bowl for the seventh time and win his fifth ring with the Patriots after beating the Falcons 34 to 28 in overtime. The Falcons, led by MVP Matt Ryan, looked unstoppable when they had a 25 point lead in the 3rd quarter. Brady was able to make history with the help of Julian Edelman, making one of the greatest catches in Super Bowl history. The Patriots came back to tie the game and force overtime. The Patriots won the toss and the rest is history. Brady threw for 466 passing yards and threw for 2 touchdowns. Brady would break another Super Bowl record by winning his fourth Super Bowl MVP award. High quality copper made ring with high grade AAA cubic zirconia stones. 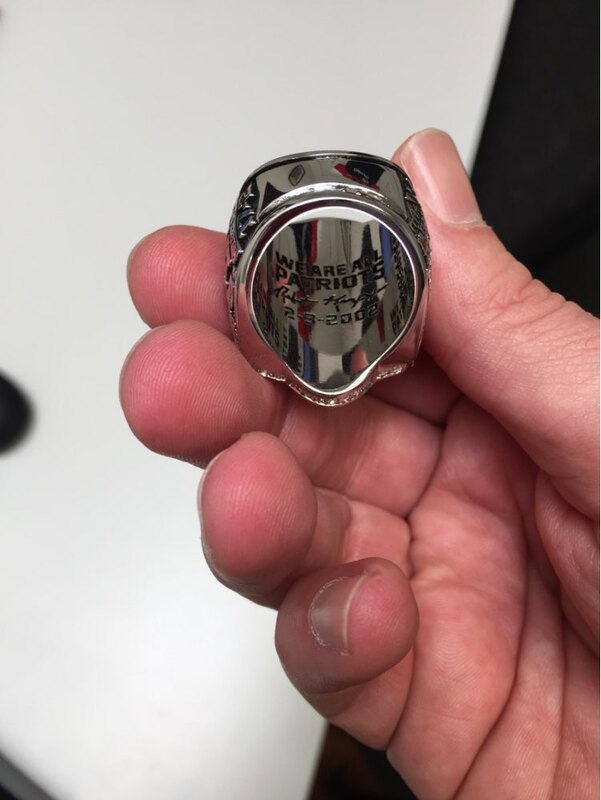 The ring is a custom made replica to match the original Super Bowl LI ring as close as possible. It comes in a gift box. 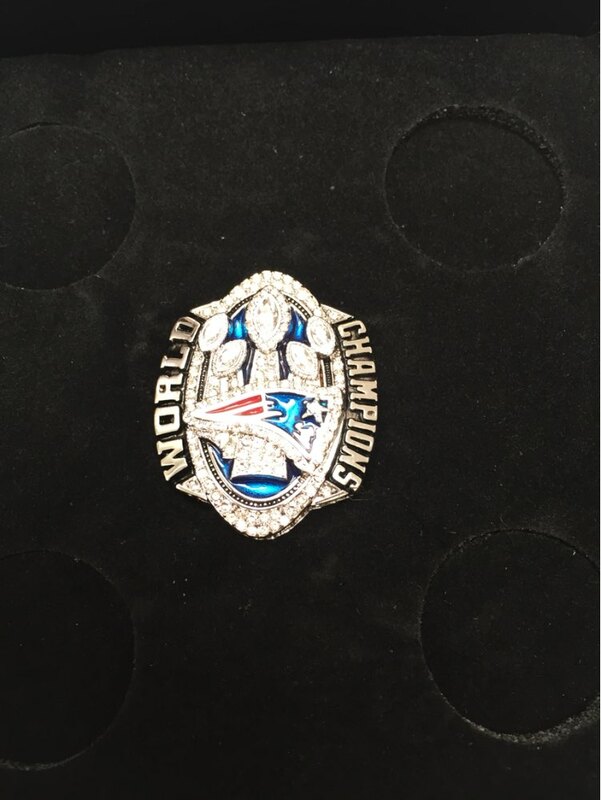 After you order this superb New England Patriots Championship ring it ships out between 3-5 business days. Shipping time is between 7-12 days, depending on the destination.